Zelda! Alice! Dungeon Siege! Child of Eden! This week sees the return of a true classic in the world of gaming - a sequel to American McGee's Alice game! Ah, we kid. We mean Zelda: Ocarina of Time in 3D. The original OOT was lavished with praise upon its 1998 release. It was the first "3D" Zelda, back when 3D didn't involve glasses. 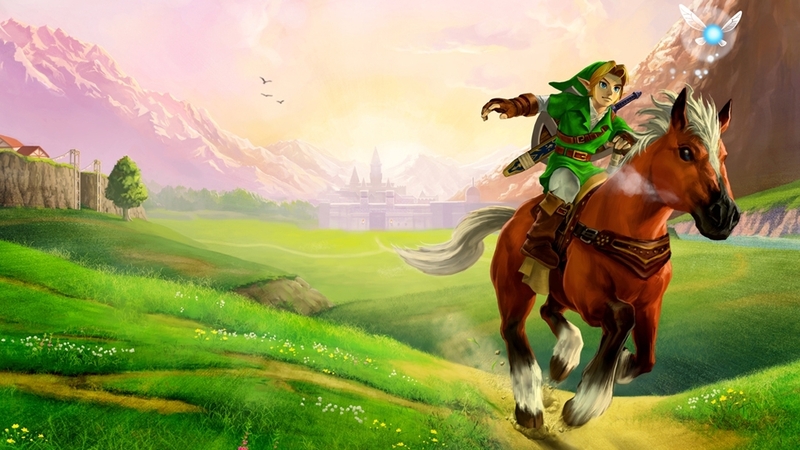 It also wrote the textbook for the franchises' fiendishly clever dungeons and crystallised the Zelda formula into what many still consider its peak. It's odd to think the original American McGee's Alice is almost as old. Eleven years on from its 2000 release, McGee is pushing sequel Alice: Madness Returns. It certainly looks the business - full of creepy Guillermo del Toro-esque creations and all the eye-stabbing anyone could want. But how does it play? 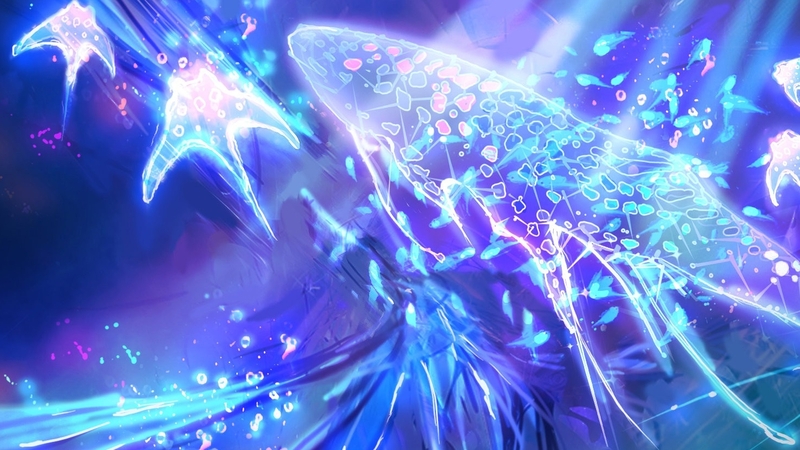 Then there's Child of Eden, a rhythm game that supports Kinect. It's a sequel to lauded Dreamcast title Rez and mixes music and on-rails shooting to stunning visual effect. Also landing this week is Obsidian's action role-player Dungeon Siege III. It seems solid enough - but will it stand out from the crowd? Look for a Eurogamer review later this week. What is it? Zelda: Ocarina of Time with a healthy lick of paint. You also get the game's Master Quest "hard mode", a new boss rush challenge and the requisite touch screen controls and 3D visuals. It's Nintendo's big summer hope to boost flat 3DS sales. What does Eurogamer think? Eurogamer's review is scheduled for later this week. What is it? 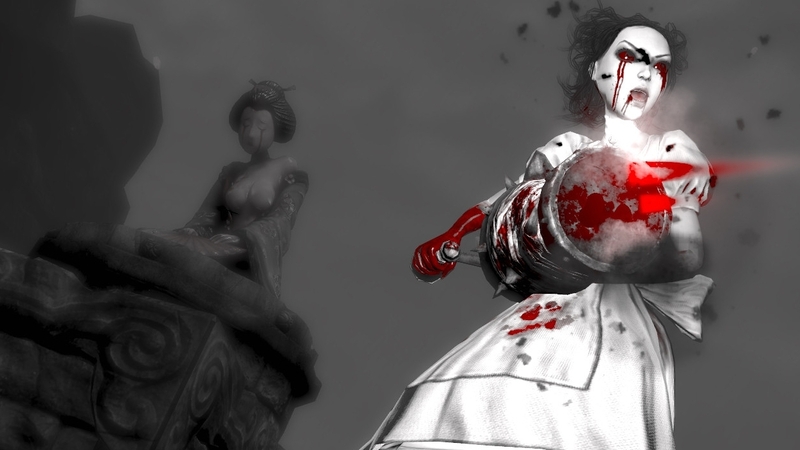 American McGee revives his dark Alice tale for an increasingly disturbed sequel. Slabs of his original narrative are replaced as unlucky Alice falls back into Wonderland. No idea what's going on? Xbox 360 and PS3 copies come with a free download code for the original PC game. What does Eurogamer think? Eurogamer's review will be published at 9am tomorrow. What is it? An experiment into synesthesia, according to Rez designer Tetsuya Mizuguchi. From our first glance, a trippy neon shooter that makes strange noises. Underneath that it's a redemptive tale where you rebuild the world around you into the titular Eden it once was. You can play via Kinect or just with a standard controller. What does Eurogamer think? Our review goes live at 5pm tomorrow. Each week one of the team steps up to predict the UK all-formats chart. The following predicts the outcome for the week beginning Friday 17th June (to be reported on Monday 20th June). "I expect sales of Duke Nukem forever will fall off dramatically during its second week of release. I'm sure it'll be heavily traded in, too. That leaves L.A. Noire an opportunity to reclaim top spot. Don't expect Alice: Madness Returns or Dungeon Siege III to chart – both games are struggling for hype. Mesmerising Kinect-enabled Xbox 360 game Child of Eden, however, may just about break into the top five. Let's say in fifth – although this is optimistic." Eurogamer Deputy Editor Ellie Gibson attempted to predict the future last week. Here's another fancy table to show how well she did.